CINCINNATI -- Attempts to make one of the city's busiest, most dangerous traffic zones safer might have hit a roadblock. Efforts to improve conditions at Knowlton's Corner in Northside are shaping up to be a balancing act between accommodating heavy rush-hour traffic while also making the busy corridor safer for pedestrians. One proposed solution: reconfiguring the six-way intersection into a roundabout. The basic idea is that a roundabout would remove the need for traffic lights and allow a more continuous flow of traffic to and from Hamilton at Knowlton's Corner, the avenue's southernmost point. Hamilton Avenue is one of the primary connectors linking Clifton and Downtown to the city's West Side. But in a memo to the mayor and city council last week, City Manager Harry Black said his transportation department officials do not recommend redesigning Knowlton's Corner into a roundabout configuration. The preliminary layout -- produced by the Department of Transportation and Engineering -- would maintain two lanes of auto traffic through Ludlow and Hamilton avenues, but would also require the demolition of multiple buildings as well as widening some pedestrian crossings, Black said. "Given the impacts to the businesses and pedestrians, DOTE does not feel that a roundabout adequately addresses the neighborhood issues," Black said in the March 14 memo. The DOTE still could consider re-timing the traffic and pedestrian signals in the vicinity, as well as other traffic calming techniques like curb bump outs to shorten crosswalks, Black said. Tim Willig owns and operates Casablanca Vintage, a vintage clothing boutique on Hamilton Avenue right at Knowlton's Corner. His shop sits in one of the buildings that would need to be demolished. "It would take out so many buildings, including this one," he said. "And, you know, it would just change the whole dynamic of the neighborhood." Carolynn Rayborn, who manages Ralph's Northside Mattress and Furniture -- located on Hamilton Avenue -- worries a roundabout could make people avoid the area altogether, hurting her and her neighbors' businesses. "People are going around and the stores are missing business because they're going over to the next street over because they don't want to go through that thing," she said. But Willig also said speeding is a problem along Hamilton Avenue. "Obviously it's very busy as far as traffic goes," he said. "People really do speed up and down Hamilton Avenue quite a bit." Community and city leaders link the speeding with a recent uptick in pedestrian injuries and fatalities in the neighborhood. READ MORE: Can Cincinnati drivers learn how to navigate roundabouts? 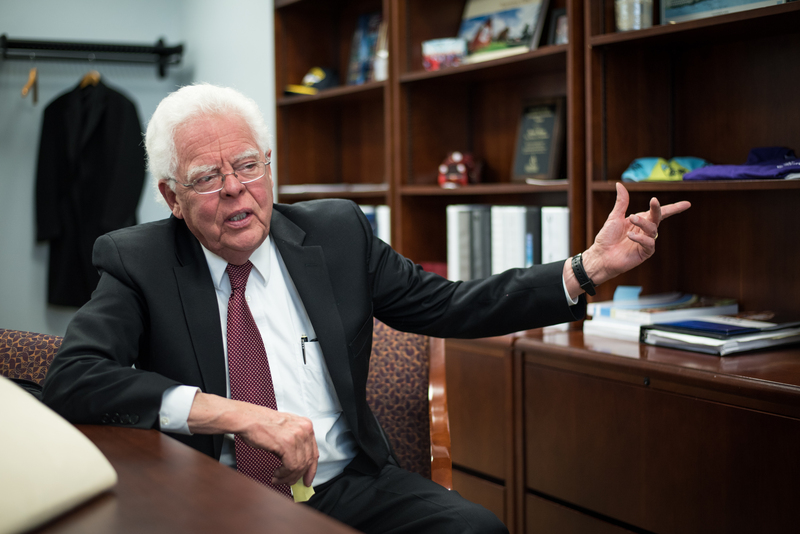 City Council member David Mann first proposed the roundabout in 2017 , when he chaired council's Neighborhoods Committee. That committee typically deals with pedestrian safety issues such as the continually problematic Hamilton Avenue corridor -- a stretch through Northside's business district that has become a well-known hot spot for speeding and pedestrian-involved traffic incidents. "We've had some bad experiences on Hamilton Avenue in Northside, and I'm determined to find a way to make it a safer place," Mann told WCPO. The Northside community revved up its efforts to calm traffic on Hamilton Avenue after a string of collisions involving pedestrians -- including the high-profile death of well-known Northside business owner Sarah Cole. Cole owned the popular burger joint Tickle Pickle. She died in September 2016 after a car struck her as she was crossing Hamilton. Some members of the community agreed with the city's assessment that this layout would not calm traffic and make things safer for pedestrians -- even though pedestrian-safety advocates saw a roundabout as a possible solution. That's because the community council's initial sketches of a Knowlton's Corner roundabout reduced traffic flow to one lane at the intersection, with the hope that removing a travel lane would result in reduced speeds. This is where the competing interests of accommodating rush hour traffic and trying to reduce speeding and pedestrian-involved crashes collide. Urban planner John Yung is a senior project executive and Urban Fast Forward, located in Over-the-Rhine. "Even Federal Highway Administration guidelines show this roundabout to be unnecessarily large, designed more for automobile ease than for pedestrian safety," Yung told WCPO. The preliminary design plotted the roundabout's diameter at 250 feet. 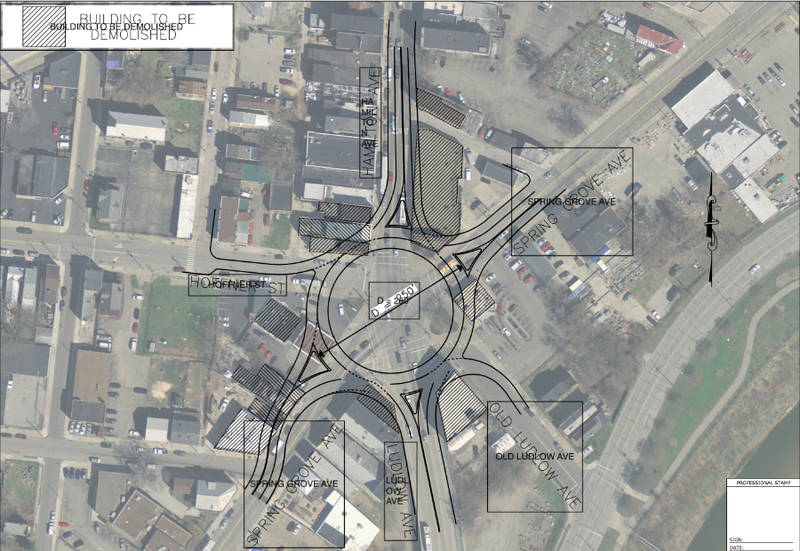 While typical design plans recommend roundabout diameters between 150-220 feet for Hamilton Avenue's traffic levels, the city opted for a 250-foot diameter because the roundabout would be fed by six entry points instead of the more typical four, Black said. "I acknowledge there are special circumstances to this intersection," Yung said. "But I do not believe it is impossible for city transportation planners and the neighborhood to work together to come up with a revised proposal that works better for pedestrians." Mann stressed the "preliminary" in "preliminary layout." "We're just beginning the conversation," he said. "I think the neighborhood would be happy if there are other ways to solve the safety issues. "We need to have a robust discussion about this in committee and understand whether there are some alternatives that would include a roundabout that the professional engineers would find acceptable," Mann said. Roundabouts are a growing trend around the nation over the last several decades and, more recently, around the Tri-State, too . Transportation department and highway safety officials across state lines say the circular intersections make roads safer and traffic smoother for multiple reasons, but two typically stand out as the primary purpose: slower speeds and less likelihood of a serious collision.